Fact: I have been too busy to blog. In a good way, of course. It only means that I’ve been making and collecting memories to write about. What an April this has been. While it’s been a quiet month on the blog, my Instagram and Facebook feeds have been buzzing with activity, from birthdays to homecomings, to super fun trips. He has also had his share of fun with friends – Hours of play at his classmates’ and cousins’ houses, and his surprise birthday swimming party, which the whole family successfully managed to keep a secret until the very last moment. Yay! Holy week for us meant quiet time to prepare for the storm that was to come. By storm I mean the homecoming of MrC’s dad, aka Lolo Bandel. My in-laws live in California, so it isn’t often that they get to spend time with the kiddo. Lolo Bandel decided that he didn’t want to miss out on another summer vacation with his one and only grandson (yes, he is the only one on both sides,) so he flew 16 hours, halfway around the world to spend April with us. This little kiddie really waited for his Lolo Bach to arrive before finally going to sleep. Good morning, night shifters! Because our home sweet home isn’t ready yet, spending time with the Cuyugan side of the family means sleeping over in Far Far Away, otherwise known as Cainta, where my sister-in-law lives. When we’re there, I am basically unable to drive anywhere because drivers beyond Makati scare the bejesus out of me. On the upside, it gives me the chance to spend time in places that I normally find too far away to go to, like Eastwood Mall. When in Eastwood Mall, I go shopping at Scribe Writing Essentials, and that’s always a happy thing. Hello, Cocoiro! As a treat to Lolo Bandel, MrC booked a staycation for us at Hotel H2O, which is still one of the little boy’s favorite places. It’s always fun watching the fish swim by in he Aqua Room’s aquarium wall, and this was something that the mag-lolo got to do a lot in their shared room. Lolo, on the other hand, surprised us all with a trip to Hong Kong, complete with Disneyland and Ocean Park tours. Oh the joy! As we were looking at our trip photos, MrC told me that I looked the most excited in happy in all of them. Welcome to Hong Kong, Cuyugans! It’s been years since the one and only time I’ve traveled abroad, so this vacation is long overdue and much appreciated. The funny thing is, that one trip I went on before was also to Hong Kong, back when I was 9. This photo clearly shows which one of us was the happiest to be in Disneyland. This week, we are all catching up on rest and work, and luckily I’ve managed to squeeze in a few minutes to blog. More stories coming soon, but for now, please follow my IG page if you’re interested to see what else we will be up to in the next few weeks. Now tell me how your summer has been so far. I’d love to hear your stories! Today is the first Monday of March, and also the first of the last four Mondays for this school year. I think I need a minute to let that sink in. Wow. Summer really is fast approaching, and I can’t even pretend that I don’t feel it lurking around the corner coz it’s been so hot out lately! I mentioned before that summer is a challenge for me because I have no clue how I’m gonna keep my son busy enough over those 2 months. I want him to enjoy, to still learn, and of course I’ll need time to work. I refuse to work late at night like I used to. Sorry, but sleep is a must for me these days. That means I need to be creative. I think I’ve taken for granted the fact that my son is in school for 8 hours a day, and I get this amazingly long window of time to work and run errands. The thought of having to figure out what to do for 8 whole hours, every day, for 2 months scares me a little. Or maybe a lot. I want to be prepared, so as early as now I’ve started planning. 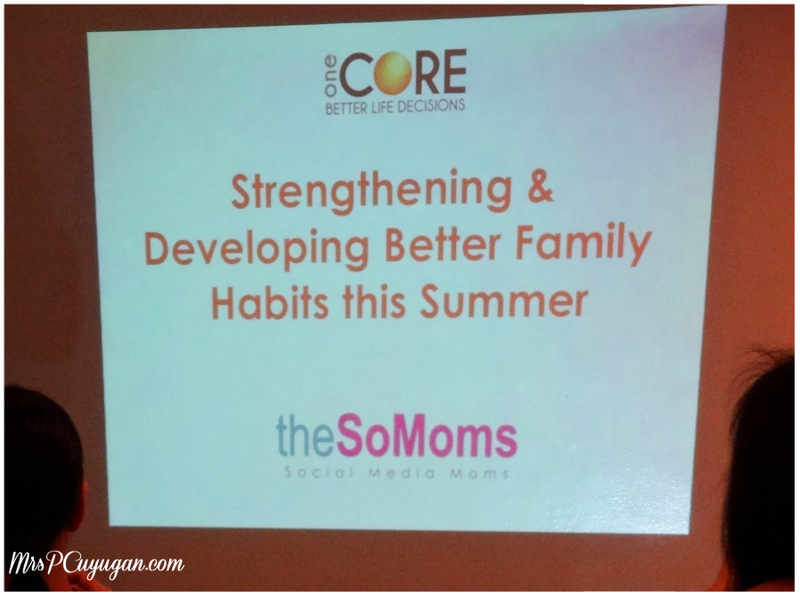 Luckily, I was invited to attend a #BetterMe session with the SoMoms a few weeks ago about strengthening and developing better family habits over the summer. It was just what I needed, so of course I jumped at the chance to attend, even if it meant crossing the Skyway AND my favorite EDSA so that I could be at Megamall by 10 AM on a school day. Yes, that’s how bad I wanted to be there, coz I knew that I needed all the tips I could get. Let me tell you, the session did not disappoint. 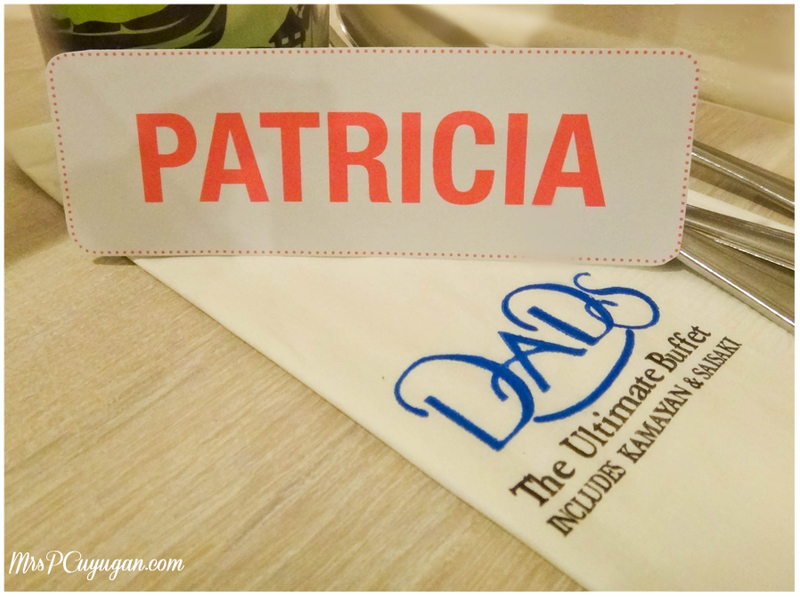 Okay fine, I also really wanted to eat at Dad’s Ultimate Buffet. Haha! 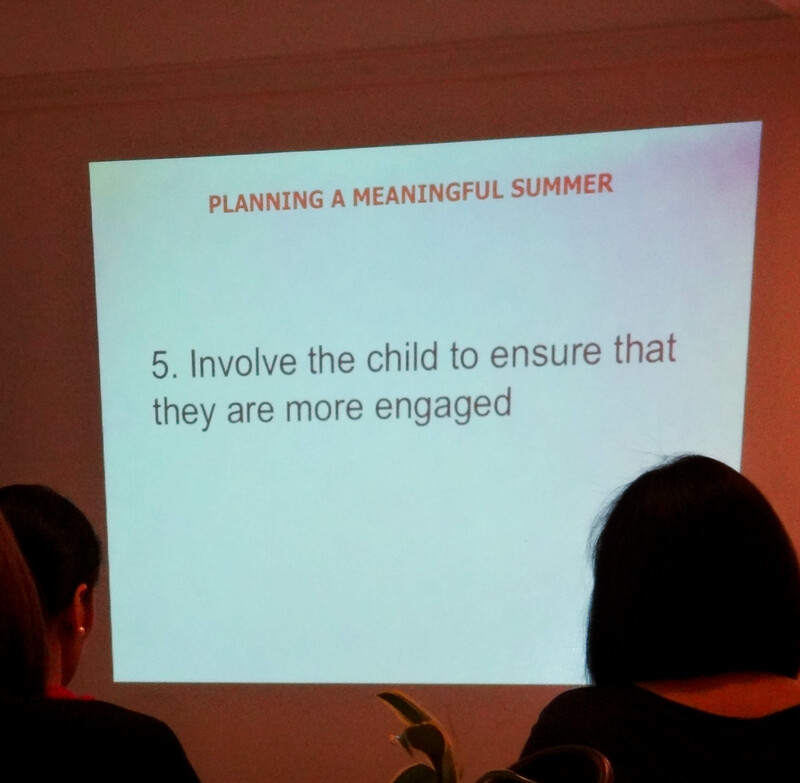 Coach Pia shares these very simple, yet very “Aha!” tips in planning a meaningful summer for your family. I say these are “Aha!” tips because they kind of open your eyes to what you may or may not already be doing. Also which things you might think you are doing right, but, in fact, are not. 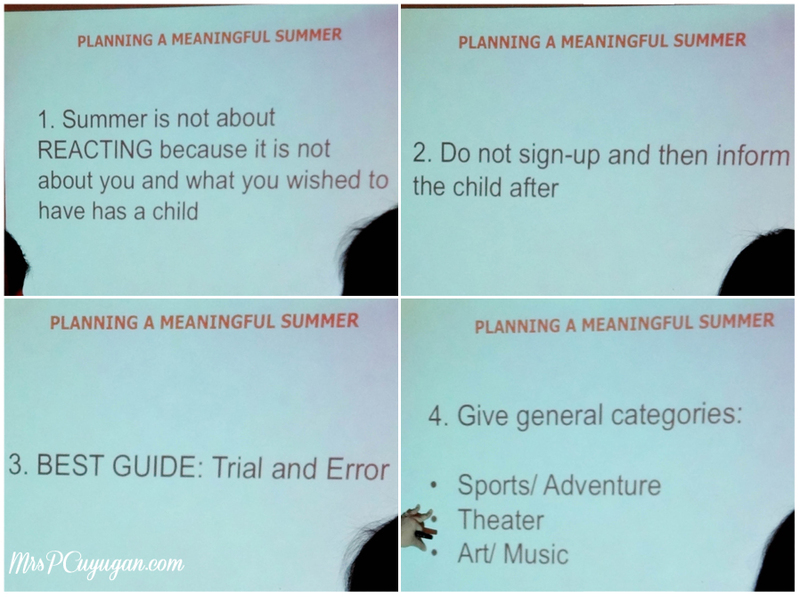 I, honestly, am guilty of pre-planning summer classes for my son based on what I used to do during my childhood summers. Who else is guilty of this, raise your hands? I was thinking about soccer classes, swimming, tennis, maybe piano, all the stuff I did before. I was surprised when Little MrC told me that he wanted to try voice lessons and that his friend was taking them. I guess I might have overlooked the fact that he had his own ideas about what to do over the summer too. Remember, summer is not an opportunity for you to bring your child to the program of your dreams. 2. Don’t just sign up and then inform the child after. Coach Pia pointed out that this was where a lot of parental frustration stems from. If you enroll your child in something that you chose and he or she ends up not liking it, you feel frustrated. But then, the whole situation could have been avoided if you had just asked your child first before actually signing up. Number 3 was a super “Aha!” moment for me. Trial and error – it sounds so simple, and yet I never thought to do it the way Coach Pia suggests. Expose your child to different possibilities by having him or her observe a class. Or, even better, take advantage of trial sessions. Also, don’t enroll for a full course right away. Start with maybe 4 sessions first, max, then see how it goes from there. And here I was planning to sign up for 12 sessions of soccer at the onset. Thank goodness I hadn’t yet, because after observing a class at a nearby field, it didn’t seem like my little boy was THAT into the sport. Oh well. Finally, ask in advance and give your kid time and room to change his or her mind. 4. Give your kids generic categories of activities that they may want to do. I love this one! In my case, since my kid chose a music course already, I told him that he might want to think about doing sports or art, too. He told me he’s think about it, so we’ll just have to see from there. But at least for the first week, I already have potential music classes to keep him occupied. Oh thank goodness. 5. If your child is more involved in choosing an activity, then he or she tends to stick with it longer. This is something that I’ve since learned to do. And, well, it works! There’s more commitment there. This goes for big things, like enrolling in summer classes, and small things too, like which art project to do on a weekend afternoon. And just in case your kid decides he or she wants to do something else, don’t show that you’re frustrated or disappointed. Remember that they are still exploring their likes and learning about their skills and talents. It’s good for them to be immersed in different activities so that they can learn while learning more about themselves, too. 6. Guide your child to look back, learn from the experience and move forward with self-knowledge. And finally, tip number 6. Yes we should allow our kids to explore. But we should also be there to guide them along the way. We, as parents, are the safe place to fall, as Coach Pia says. Whether their experience was good or bad, we are the people that our children will come to. If they had an amazing time, then we should encourage (encourage, not pressure) them to keep on keeping on, especially if we ourselves see that they excel in a particular activity. On the other hand, if things didn’t go so well, we should also be there to listen and to help them find the confidence to keep trying until they find something that will work for them. Oh, and here’s a bonus tip for those of you with more than one kid. As much as possible, don’t enroll your kids in the same class because it encourages competition and might breed sibling rivalry. My brother and I did most everything together when we were younger and I remember how swimming instructors and tennis coaches would compare our performances. Based on what I went through, I’d say Coach Pia has a really great point here. This is what it should be about! Planning for a meaningful summer is actually a team effort that the whole family has to get into together. Lucky for me, Team de Castro-Cuyugan is super solid, and we’re all behind our one and only little boy, 100%. We’re lucky, too, that we have the means to enroll the kiddo in the summer classes of his choosing. As Coach Pia said, the only reason to say no is if your budget can’t accommodate it, and so far this hasn’t been a major problem for us. I just hope he doesn’t as to learn golf anytime soon. Now that’s an expensive sport! 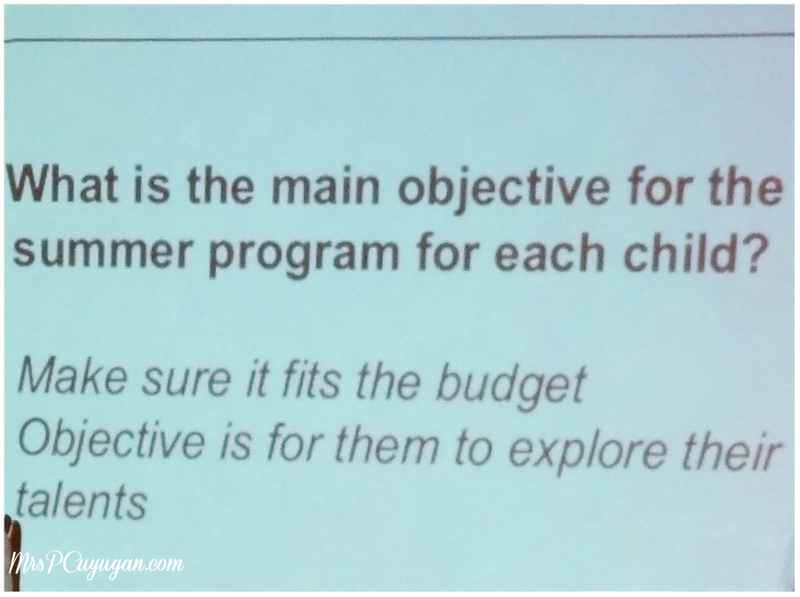 What plans do you have for your kids over the summer? PS I really hope that you learned (even just a bit) from this post! This is only part one. I’ll be writing about developing better family habits and routines in a separate post coz this one is already super long. PPS I want to say thank you to The SoMoms and Your Brand Story for inviting me to this event. Thanks also to The One Core and Coach Pia for making amazing sessions like this available to mommies like me. Also to Unilab, who tirelessly supports activities that aims at making us better versions of ourselves. And finally, to The Dad’s, Saisaki and Kamayan group aka Dad’s World Buffet, known to me during my childhood as Triple V, thank you for the amazing lunch and for hosting us last February. I cannot wait to come back and try everything that I wasn’t able to try that day! So. Much. Yummy. Food!